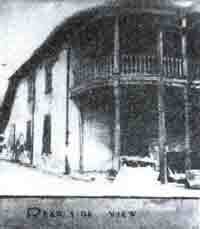 January to December 1835 - Hill Street Academy at St. Pauls Church Wolvendhal – back verandah. In 1932 a tiny chapel-Oratory of St. Paul was built to mark the site of the former church at 22, Wolfendhal Street. It is now hemmed in decrepit commercial buildings. At141, Messenger street- upstairs house later it was the workshop of Samuel sons opposite their office building. It has since been demolished and replaced with high-rise flats. At Sebastian hill today this is Mihidu Mawatha and the buildings are used as horse stables of the police mounted division. 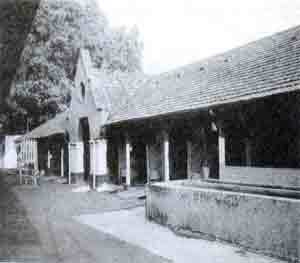 The Mihidu Maha Vidyalaya has been built on the grounds. At Thurstan road since then these premises have been occupied by the University of Colombo. 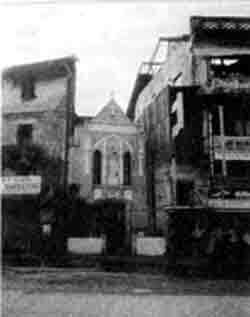 1942-1945 during World War II the upper middle school shifted to turret road Colombo, now Dharmapala mawatha ,into four bungalows- Carlton lodge (Capri club),turret House,Sudharshan house and Firoshi house and the lower school to “Glendale”, Bandarawela. Later during Principal E.L. Bradby’s period the school was brought back to the Current Location once again at Reid Avenue.